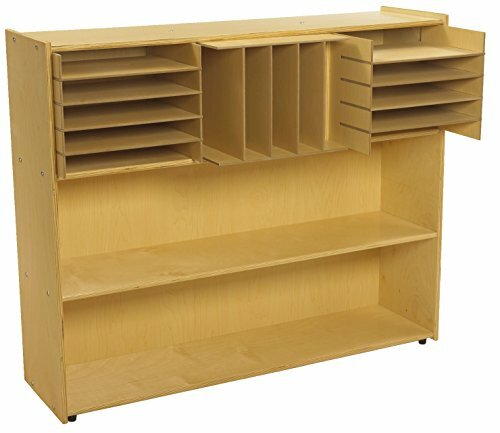 The Bankers Box 9 Compartment Classroom Cubby provides a central location for storing large text books and tracking student work. Nine roomy compartments hold oversized books and teaching materials. Sturdy multi-layered corrugate construction offers lasting performance. Includes channels for easy labeling and file identification. External unit dimensions: 16"H x 28 1/4"W x 13"D. 60% recycled content. Brightly collared heavy-duty polypropylene bin for storing toys, arts and craft supplies or hardware at home, schools or learning centres. 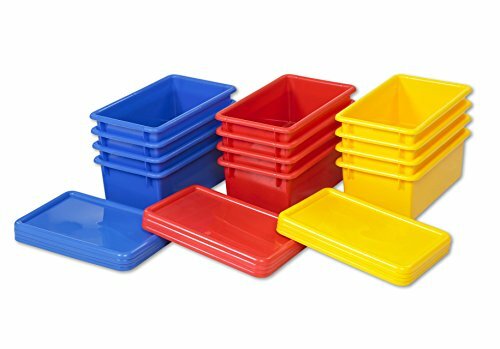 Versatile and convenient, storage bins may be used for stand-alone or fits in most standard cubbies. Arrives in a 6 pack in either yellow, blue, red, clear or an assortment of colours. Each measures 5" H x 8.5" W x 13.5" D.
These totes will store, organize and protect whatever you need. Included lid does not snap shut so it's easy for little hands to open them. 13 1/2" x 8" x 5 1/2". 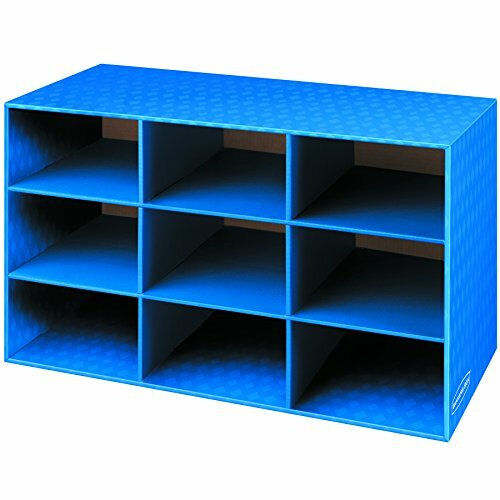 This 10-tray cubby unit holds trays or baskets sized 12 L x 8 W x 5-1/4 D inches, sold separately. 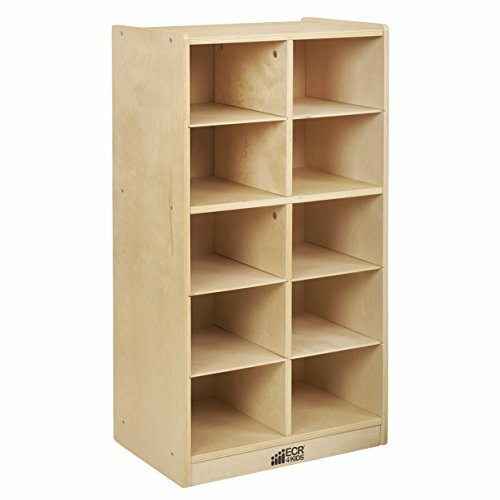 Units can be stacked up to three high and screwed together for safety. The unit comes partially pre-drilled and includes hook and loop strips for securing to other 14-1/4 inch deep storage units or on a table top. 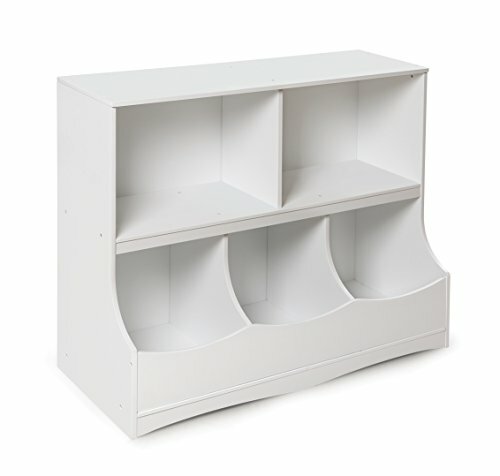 Unit can also be mounted to a wall. Assembled. Measures 47-3/4 W x 14-1/4 D x 13-3/4 H inches. 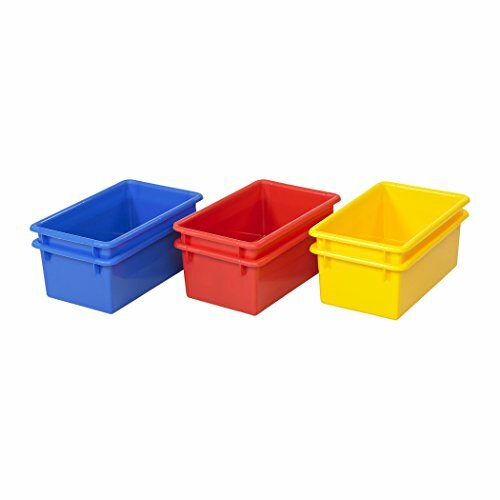 Brightly colored heavy-duty polypropylene bin for storing toys, arts and craft supplies or hardware at home, schools or learning centers. 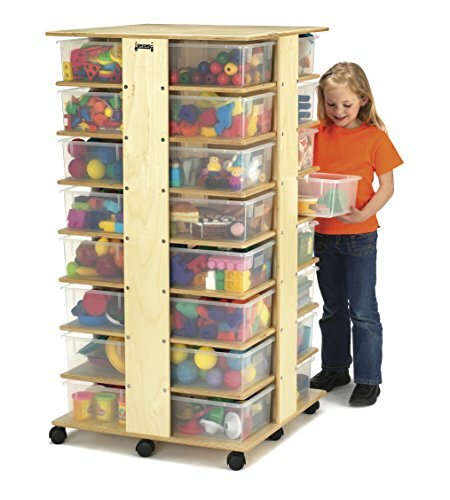 Versatile and convenient, storage bins may be used for stand-alone or fits in most standard cubbies. Arrives in a 6 pack in either yellow, blue, red, clear or an assortment of colors. 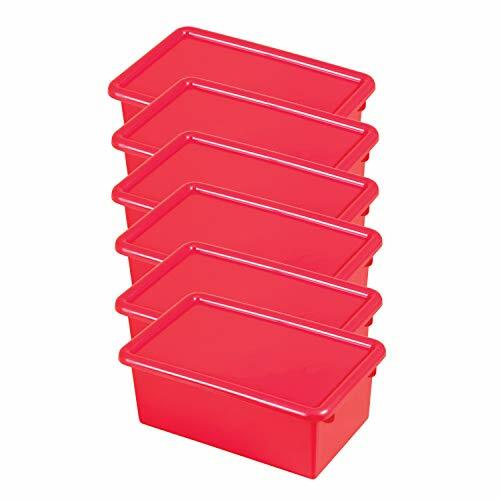 Each measures 5" H x 8.5" W x 13.5" D.
A four sectioned tower with eight tub openings in each. Room for thirty-two tubs. 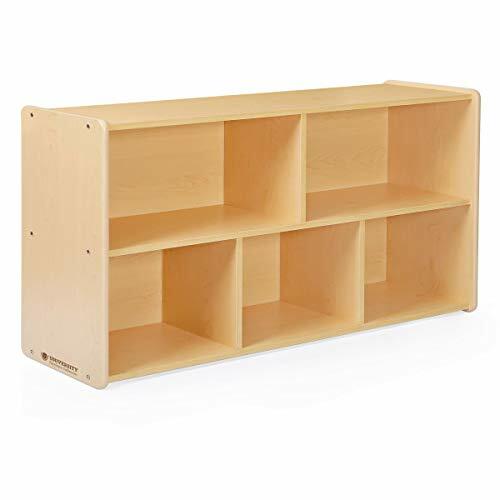 Childcraft abc furnishings sectional inserts can be added to any ready to assemble 48 inch wide open shelf to convert it into a 10-cubby space. 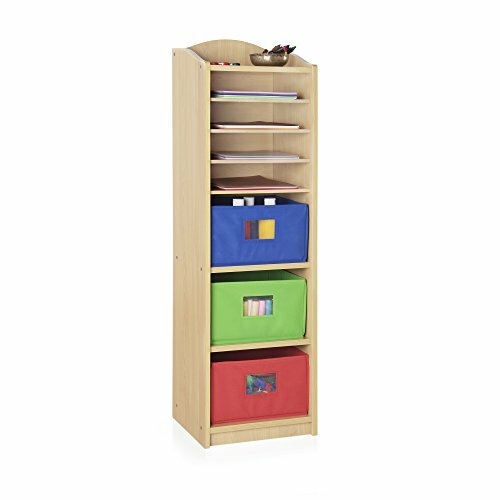 Keep toys, games, craft supplies and more organized at home or in the classroom with the ECR4Kids 10 Compartment Tray Cabinet. Made of durable birch hardwood with a beautiful natural finish, the tray cabinet features rounded edges for added safety. Four casters are included for mobility; adult assembly required. 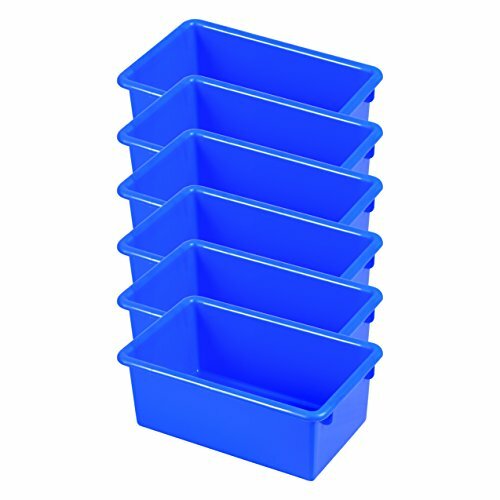 Accommodates 10 ECR4Kids Scoop Front Bins (sold separately). ECR4Kids Tray Cabinets have achieved GREENGUARD [GOLD] Certification for meeting or exceeding standards for low emissions into indoor air during product usage. 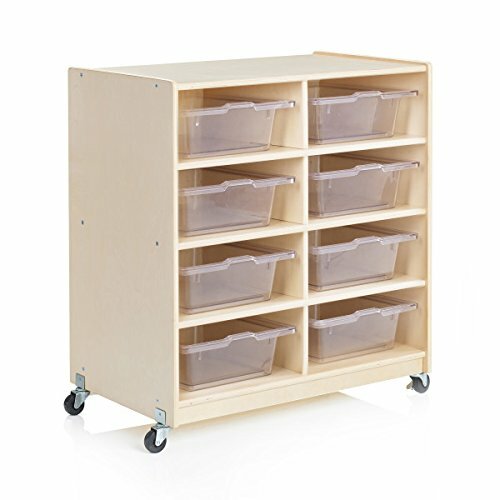 With a concentration on the Pre K-10 sector, ECR4Kids offers a wide range of products from tables, chairs and desks to cots, mats and a variety of storage cases in solid wood as well as scratch resistant double-sided laminate. Craft supplies, toys and photo albums find an organized home while occupying minimal floor space using Guidecraft's Narrow 3 Bin Art Storage Center. 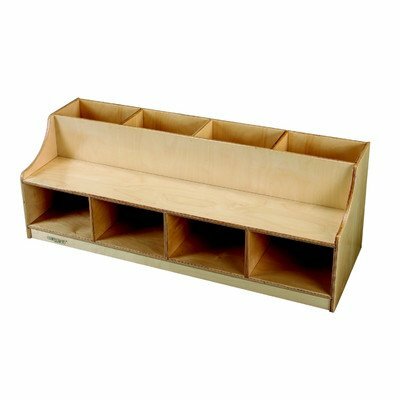 Three folder shelves and 3 larger bin shelves provide ample space for keeping important items and loose supplies organized. An open top ledge displays books, toys or trinkets. 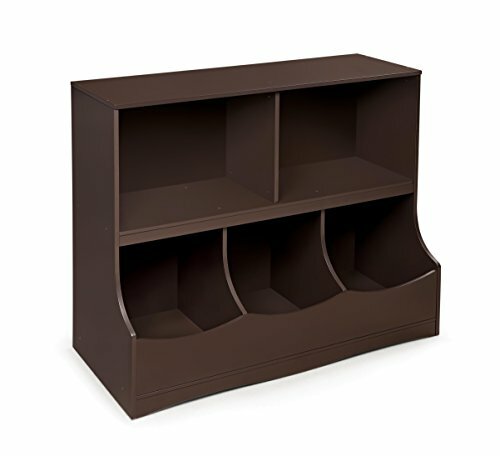 This storage center is both sturdy and suitable for bedroom, office or classroom use. Made of sturdy wood grain MDF. Includes 3 fabric bins. Adult assembly required. Measures 12 x 13 x 44 inches. 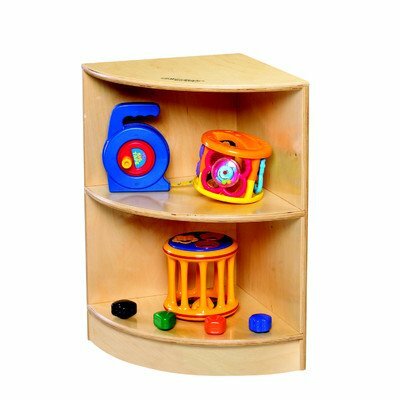 Birch plywood Toddler Rest and Read Storage Bench is perfect place for toddlers to gather with a book or toy. The seat is 9 inches deep and has a 10-inch high seat which allows toddlers to easily get on and off the bench, while the backrest offers added support. Storage areas behind the back rest and underneath the seat provide a perfect place to store children's favorite books or toys. Baskets and toys shown in photo are not included. Removable and washable baskets with a detachable plastic identification pouch can be purchased separately, please see item number 1444401. Assembled bench measures 49 x 17-3/4 D x 17 H inches. Includes a limited lifetime warranty against manufacturing defects. Now you can convert wasted space between cabinets into usable storage areas. 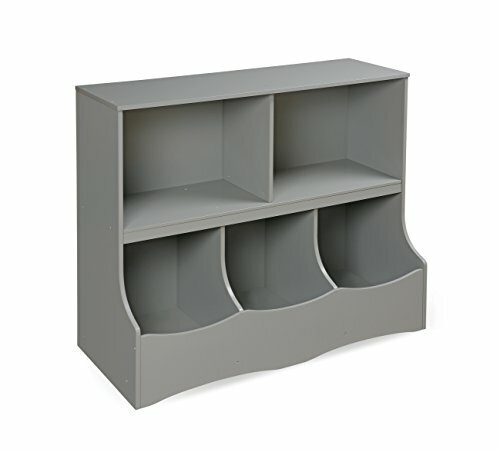 The outside corner unit is designed to complement 14-1/4 inch deep cabinets that are 24 inches high. Fully assembled unit measures 14-1/4 W x 14-1/4 D x 24 H inches. Includes a limited lifetime warranty against manufacturing defects. 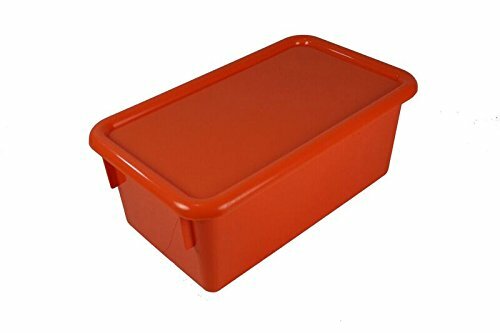 Brightly colored heavy-duty polypropylene lidded storage bin for organizing toys, arts and craft supplies or hardware at home, schools or learning centers. Versatile and convenient, storage bins may be used for stand-alone or fits in most standard cubbies. Arrives in a 12 pack with lids in an assortment of colors. Each measures 5" H x 8.5" W x 13.5" D.
Seat Sack offers a Standard 14 Inch Storage Pocket that features a durable cotton and poly laminated fabric construction. It is flame-resistant and easy to clean with convenient machine washable materials. The Black Seat Sack was created with a 10 inch deep and has a 2 inch gusset that offers ample storage space to accommodate books, papers, school supplies and more. Recommended for grades K to 2. The Seat Sack offers a Standard 14 Inch storage pocket that features durable laminated cotton and polyester construction. Flame-resistant and easy to clean with its convenient machine washable materials. Created with a 10 inch deep pocket with 2 inch gusset that offers ample storage space to accommodate books, papers, school supplies and more. Recommended for grades K to 2. 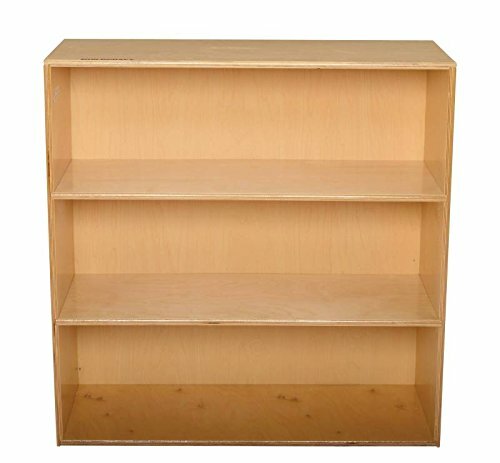 Open storage unit with plenty of storage space for books, games, manipulatives, and toys. Assembly required. 36 x 14-3/4 x 35-3/4 inches.